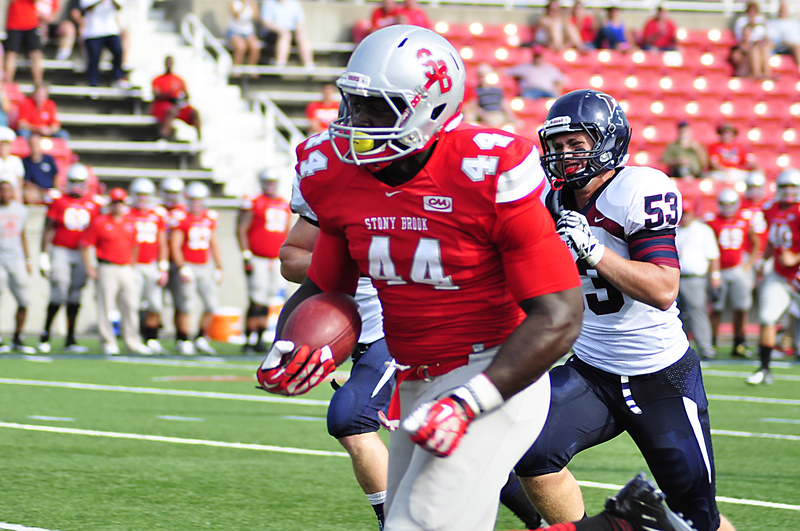 Stony Brook alumnus and tight end Will Tye was claimed off waivers by the New York Jets Saturday morning. The move comes just one day after he was released by the New York Giants. As of Tuesday, Tye was listed third on the Jets’ depth chart for tight end. Tye played 29 games in his two seasons with the Giants, recording 90 receptions for a total of 859 yards. He scored four touchdowns in his tenure with the Giants since being called up from the practice squad on Oct. 3, 2015. Tye played for Stony Brook during the 2013 and 2014 seasons. In 23 games with the Seawolves, he had 79 receptions, gained 1,015 receiving yards and caught nine touchdowns. Tye was originally recruited by the Florida State Seminoles in 2010 before transferring to Stony Brook as a junior in 2013. He only managed one reception and seven receiving yards during his three years with Florida State before transferring. Tye was released after a training camp that featured an influx of tight ends on the roster. The Giants signed tight end Rhett Ellison over the offseason, drafted Shane Smith and chose Jerell Adams and Matt LaCosse to fill out the team’s depth at the position over Tye. The Jets claimed Tye off waivers after tight end Austin Seferian-Jenkins’ suspension was announced. Seferian-Jenkins was suspended for the first two games of the season for violating the substance abuse policy. The Jets will open its season in Buffalo where they will take on the Bills on Sunday, Sept. 10th at 1 p.m..